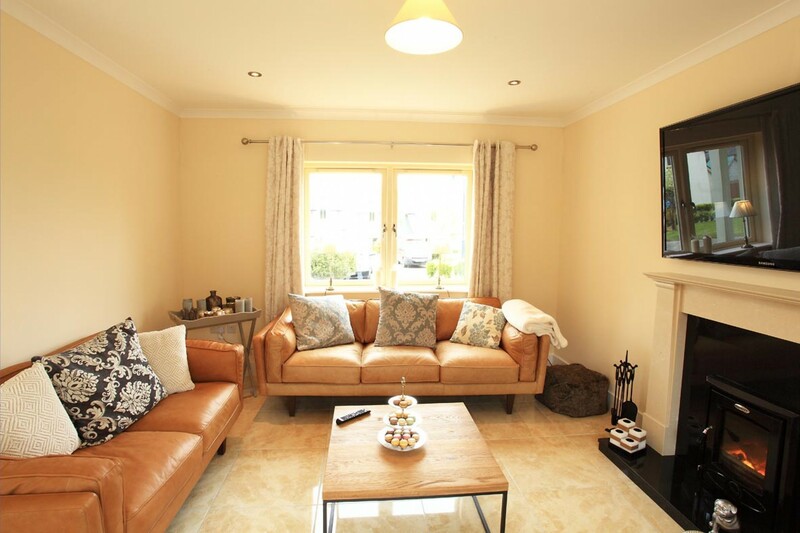 Large and spacious luxurious holiday home within a ten minute stroll of Kenmare town centre. 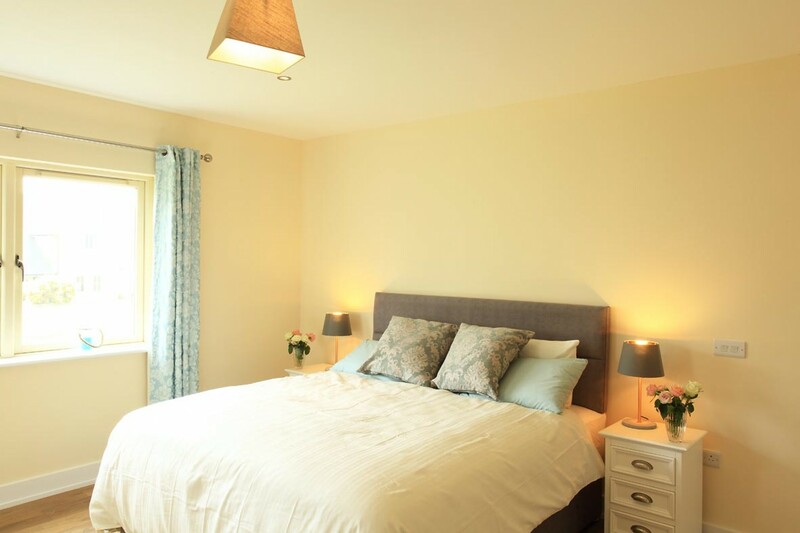 A stunning home to relax in such a peaceful setting with everything you could possibly need during your stay. We look forward to welcoming you. 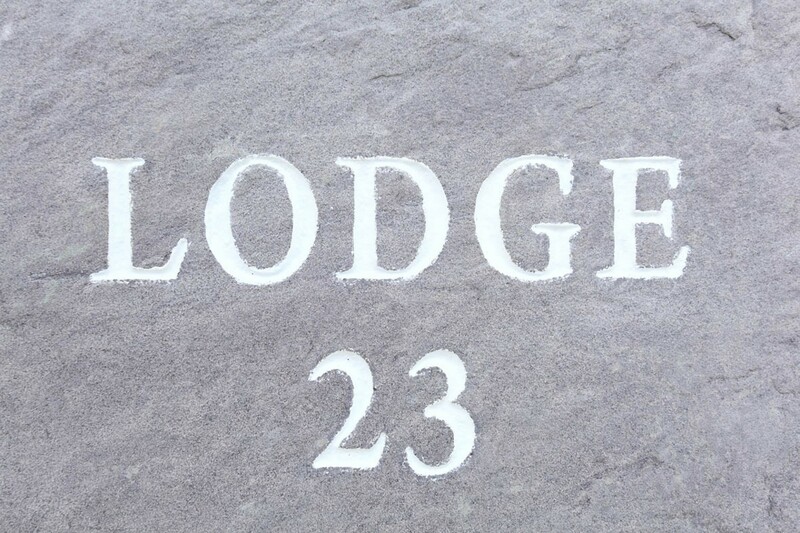 23 The Lodges is a luxury detached property perfect for a relaxing break away in Kenmare. 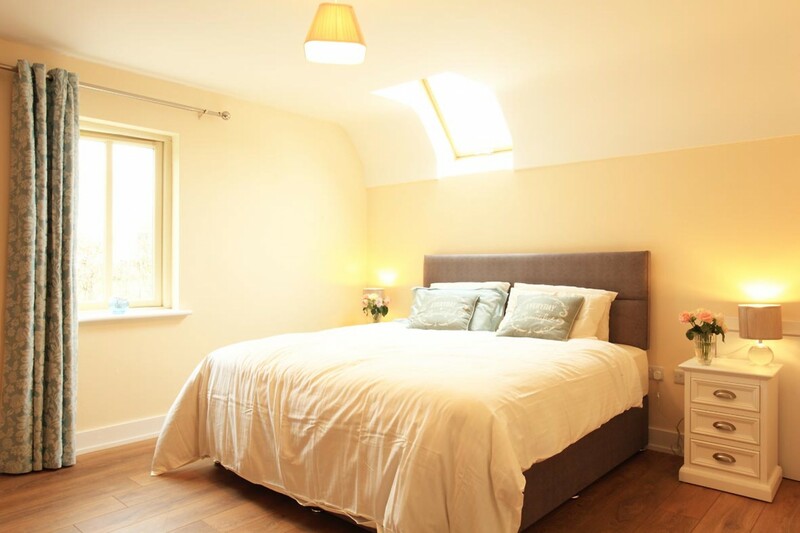 It offers off street private parking and a back garden area with sunloungers and patio furniture. A handcrafted stone wall has been built with inset lighting for long summer evenings. 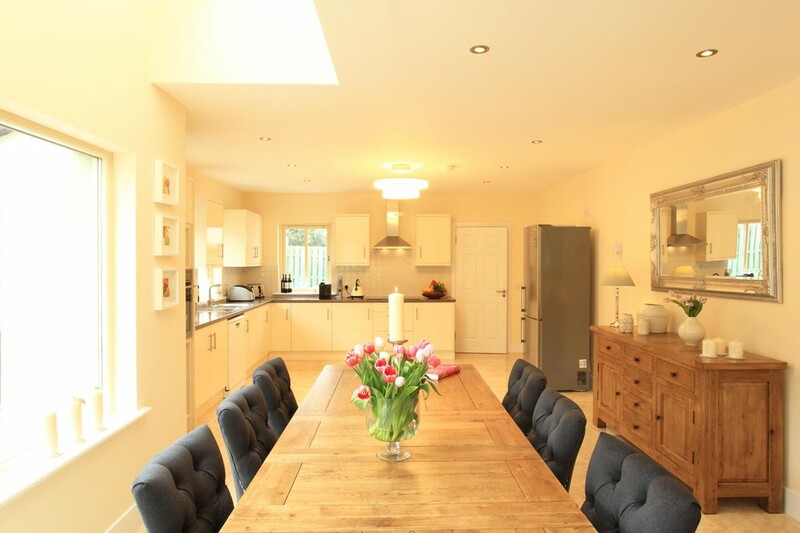 The kitchen, living and dining areas are all open plan and filled with light. The feeling in here is one of space and relaxation. 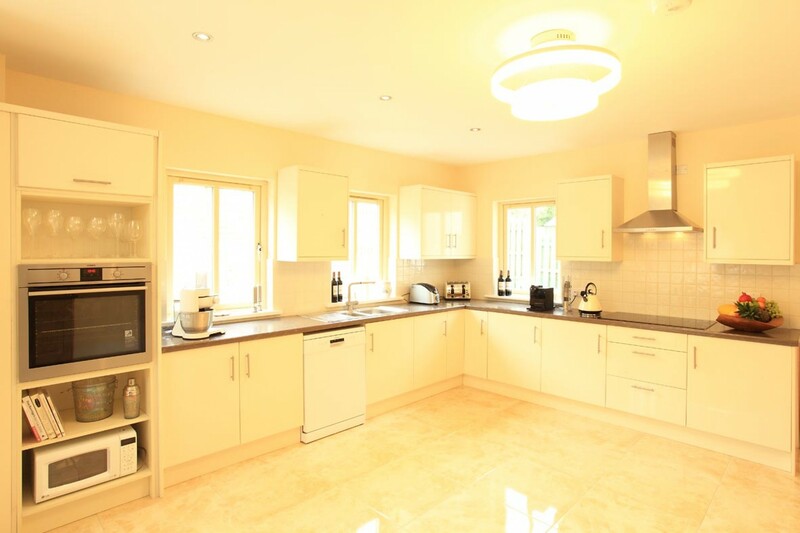 The kitchen is extremely well equipped and has a full size fridge freezer, microwave,dishwasher, ice maker, Nespresso machine, toaster, kettle, food mixer and even a fondue set! There is an electric oven and an electric induction hob. A separate utility area houses the washer/dryer and there is also a guest toilet here. 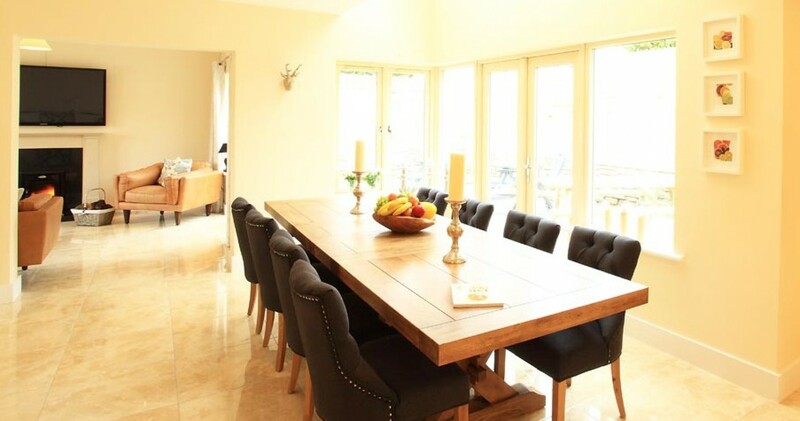 The dining table is quite impressive. It is a solid wood table with 8 strong and comfortable chairs. 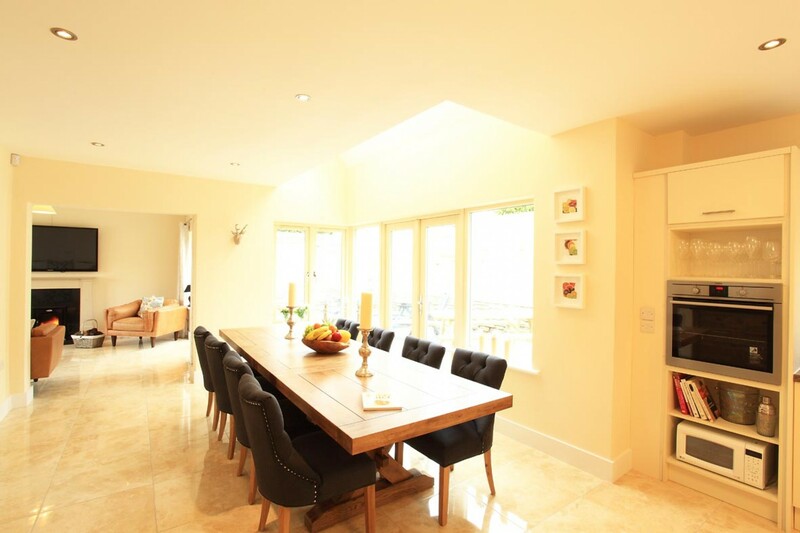 The perfect place to enjoy a leisurely meal. The lighting in this area is very ambient and can be set at lower levels for evening time dining. 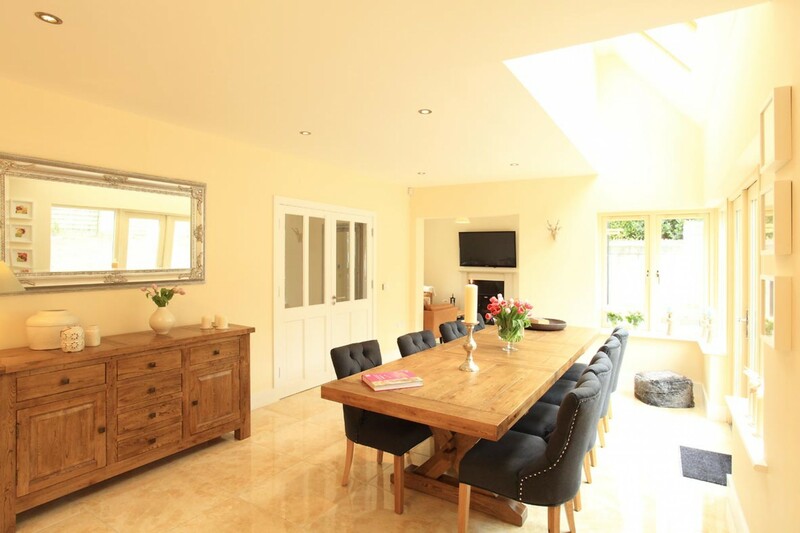 The sitting room leads from the dining area. It is really cosy with very comfortable and stylish couches and an armchair. 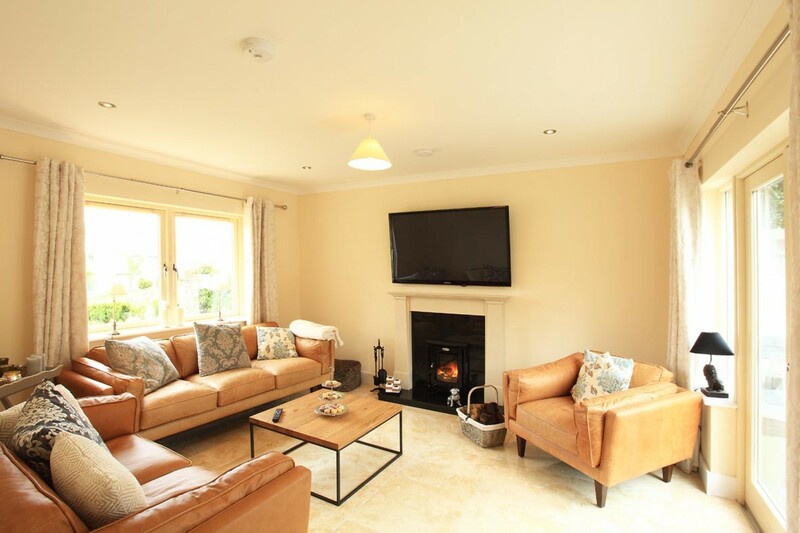 There is a large wall mounted TV along with a lovely Stanley wood burning stove. There are four bedrooms in the house. Again, each has been designed with relaxation and space in mind. There is one bedroom on the ground floor. It has a super king size bed. 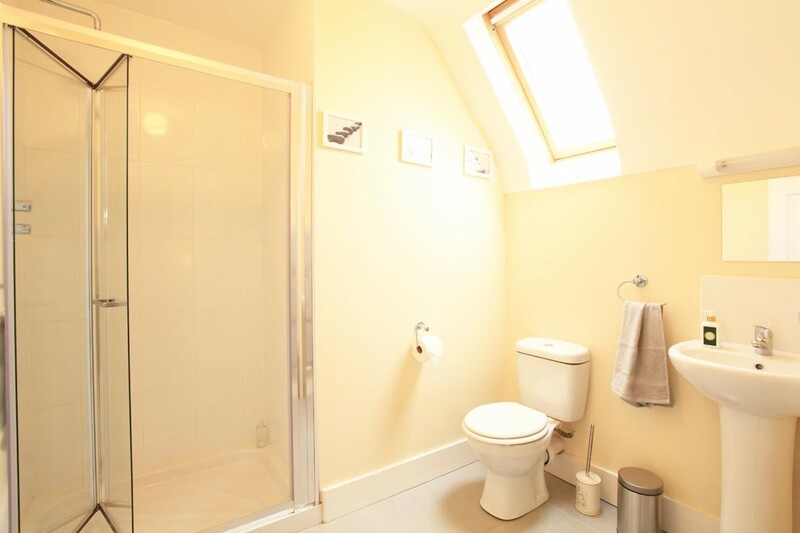 The other three bedrooms are upstairs. 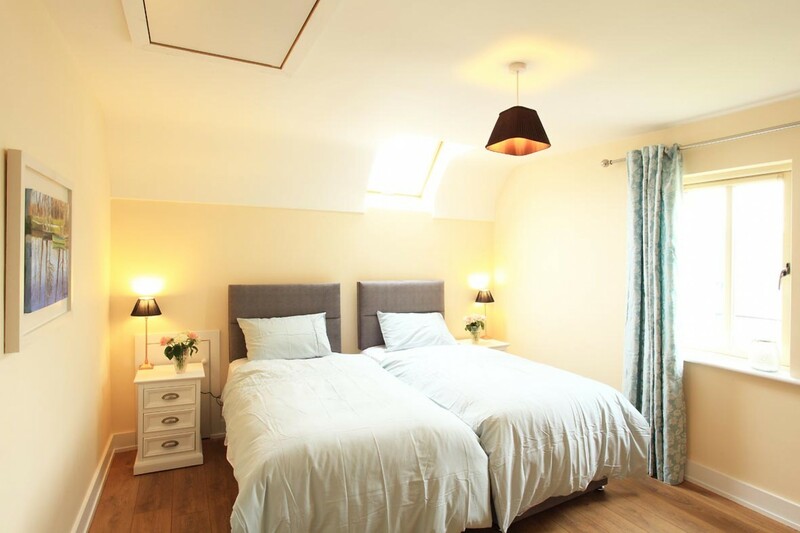 There are two twin bedrooms (with two single beds in each) as well as the master double bedroom again with a super king sized bed. 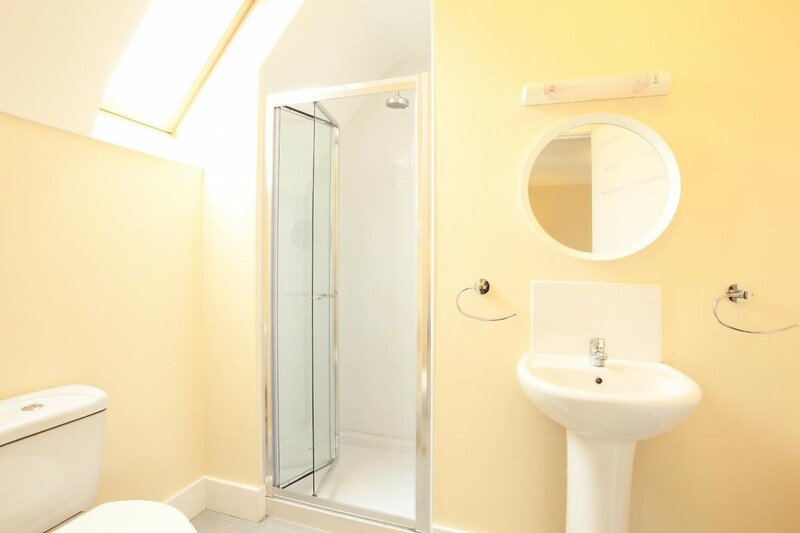 All the rooms are sizeable and there is plenty of storage space. 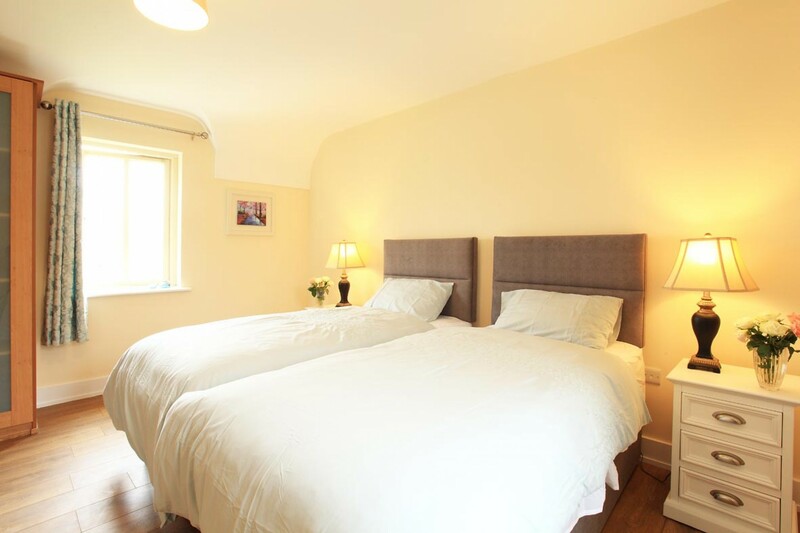 The master double bedroom is ensuite as is one of the twin rooms. 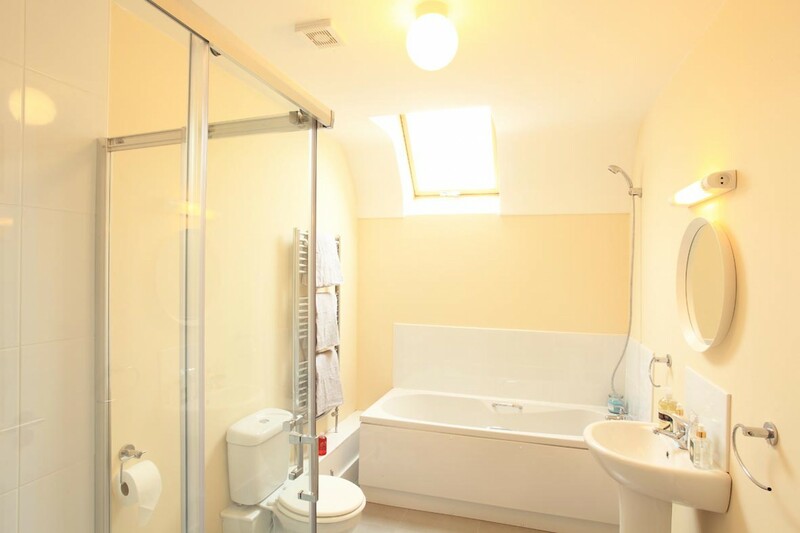 The main family bathroom is upstairs and has a bath with shower attachment as well as a stand alone shower. 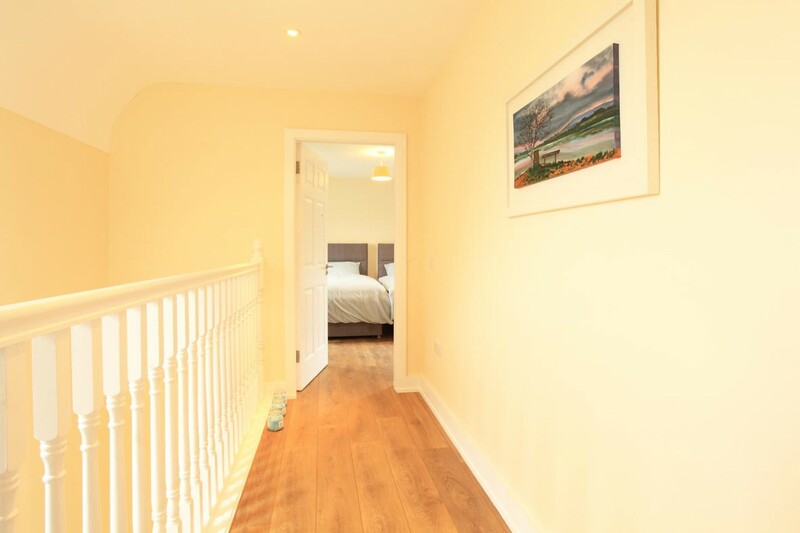 The rooms upstairs that are to the front offer lovely mountain views. 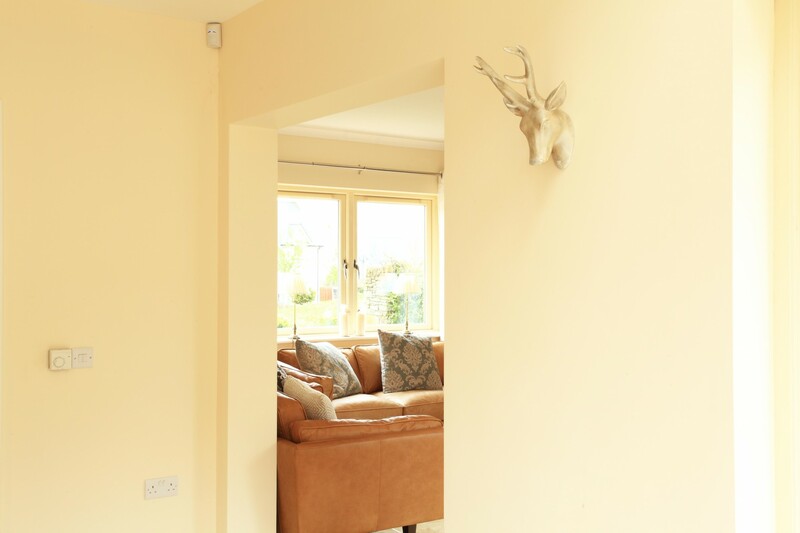 Local artwork adorns the walls of this home and there are lots of thoughtful finishes throughout. This is a home to feel welcomed and at home in. 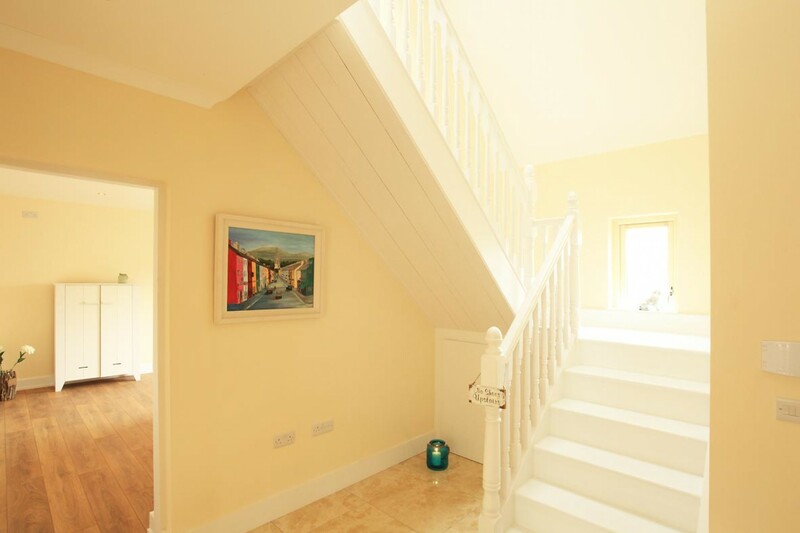 A well designed and immaculately finished property in a prime location for exploring Kenmare and all it has to offer. 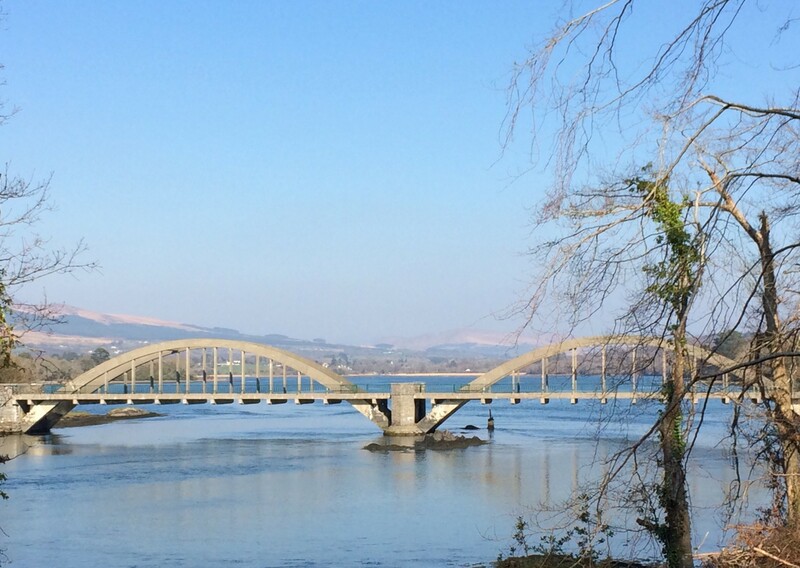 The closest golf course is Kenmare Golf Club and you could walk to this in 10 minutes from 23 The Lodges. 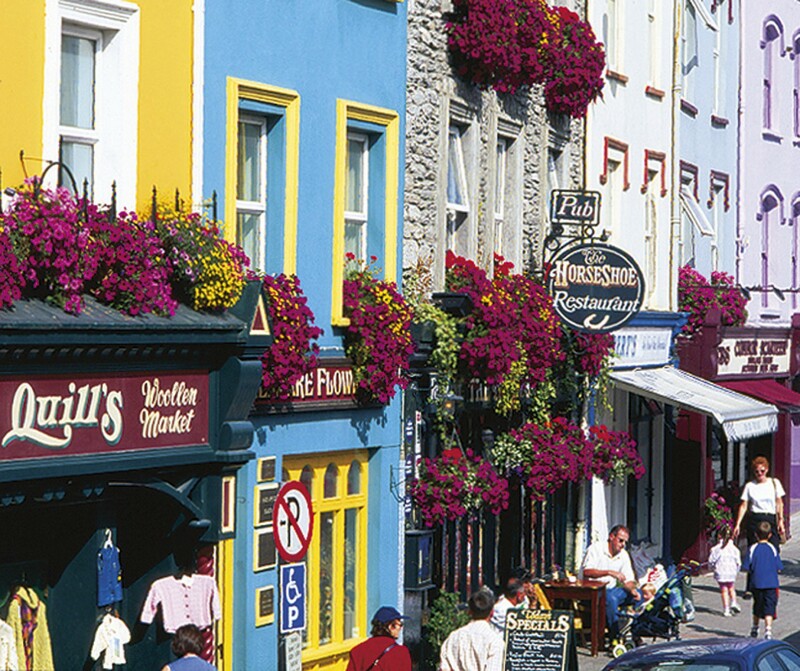 The closest supermarkets (Aldi, Lidl and SuperValu) are all within a 10 minute walk of the house too. 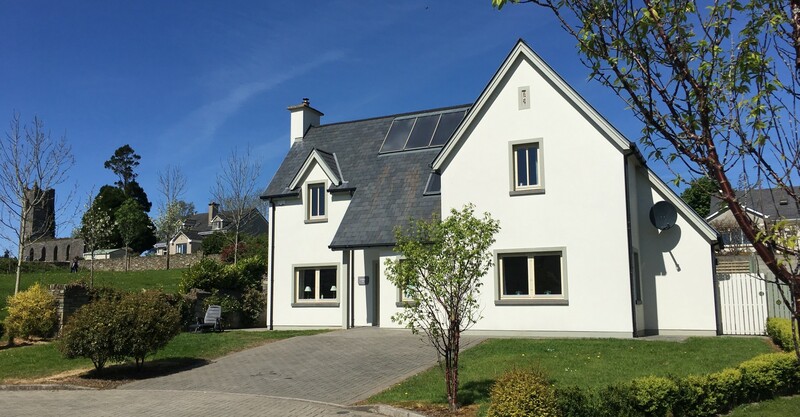 Energy for heating and light is charged at the rate of €6.00 per day for June, July and August and €8.00 per day for all other months and is payable prior to arrival to Dream Ireland. 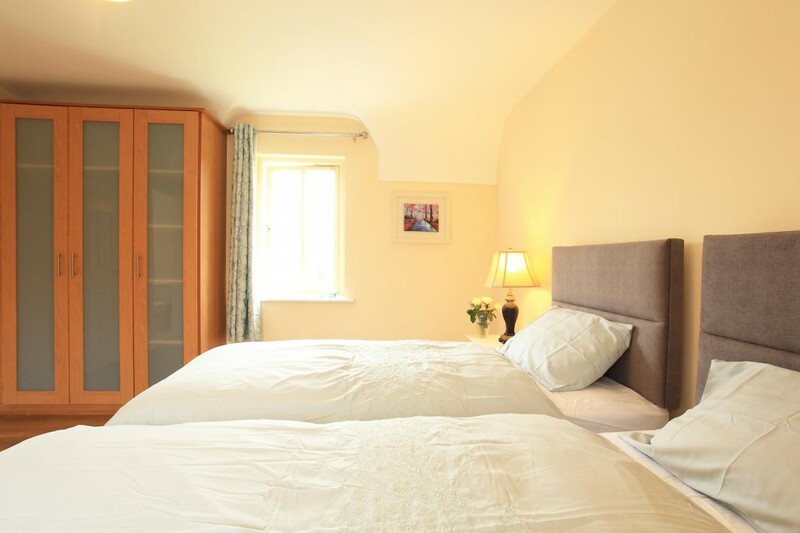 Upon check in you will be asked for a security deposit of €150.00 in cash which will be returned to you on departure providing the Caretaker is satisfied that there have been no breakages or damages. No pets will be permitted at this property. There is a Playground in Kenmare. This is about a 10-15 minute walk from 23 The Lodges. This purpose-built Activity Centre and Bar/Restaurant is fast becoming an essential part of a family holiday in Kenmare. 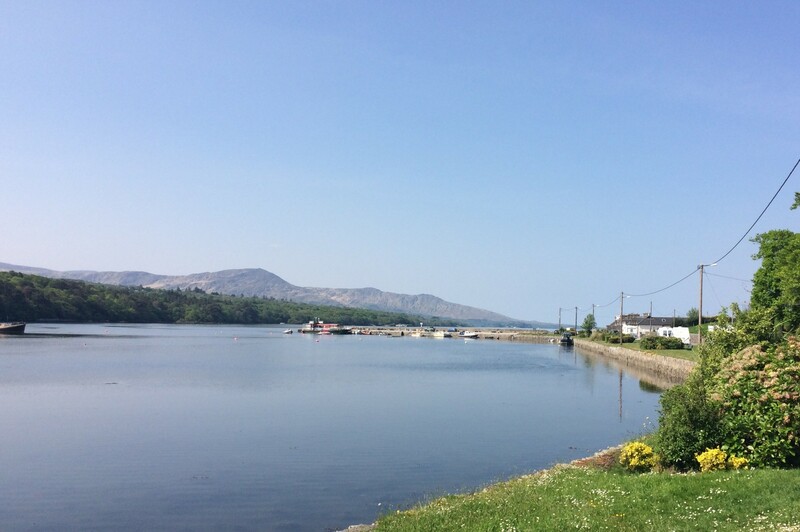 The centre itself is situated on the shores of Kenmare Bay and surrounded by the Caha Mountains just a five minute drive from Kenmare Town Centre. 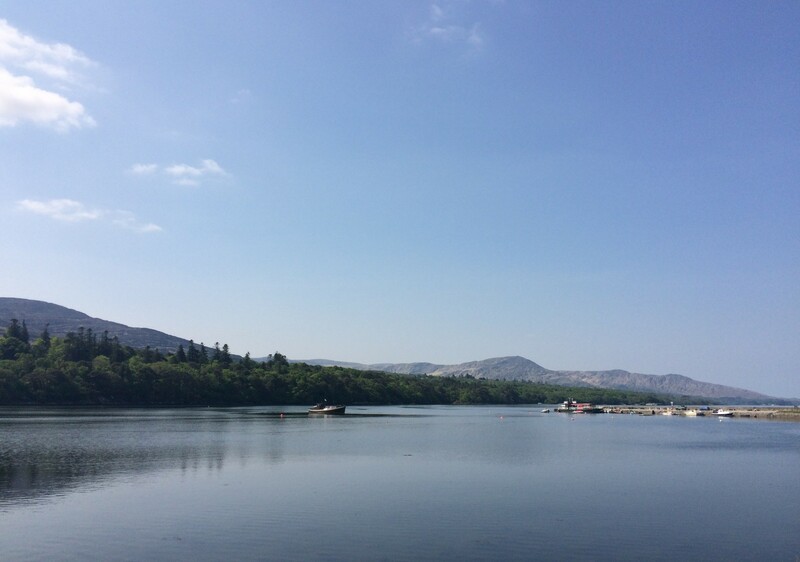 The activities on offer include kayaking, sailing, canoeing, sea kayaking, hillwalking, team games and a Wildlife Safari Cruise on Kenmare Bay. Also available are the children’s playground, American pedal boats, water trampoline and slide, archery range, soccer pitch with changing facilities and the family walking trail. Star Sailing and Adventure Centre, Dauros, Kenmare, Co. Kerry 064 66 41222. 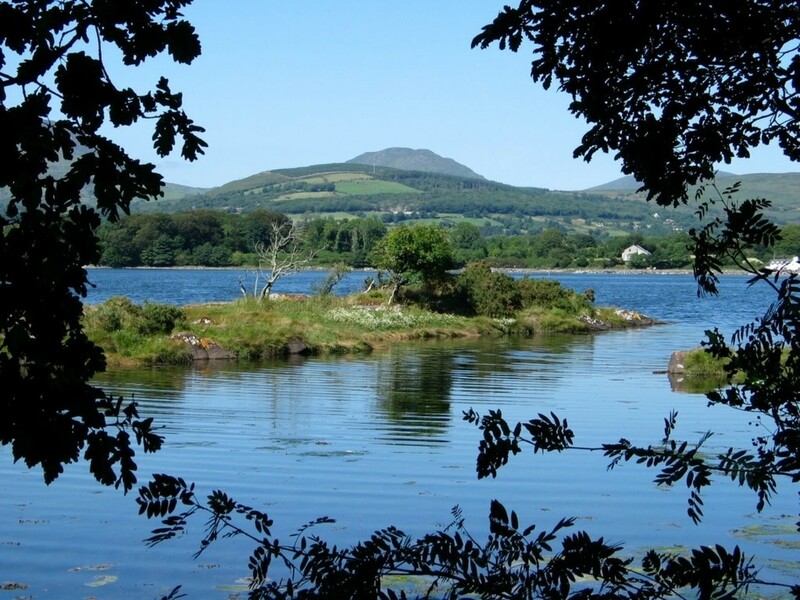 Kenmare and its vicinity offers some incredible dive spots and wrecks. You may even be lucky enough to come across a dolphin or two. Try-dives are available for beginners and advanced dives for the more experienced at Kenmare Bay Diving.